Get ready to experience different cultures from the inside out. As the ability to converse in Spanish is increasing in importance in the U.S. and worldwide, it's no secret that with a background in this language, you'll be better equipped for your profession — and for service. While studying here and abroad, you'll learn to think more critically — and to act with compassion. You'll learn to know and care about your neighbor across the street and the one across the world. Our Spanish Teaching degree combines the best of two worlds: our respected education program and a course of study involving language, geography and literature. We teach our classes in Spanish to prepare you for a career where you, as a teacher, will do the same. 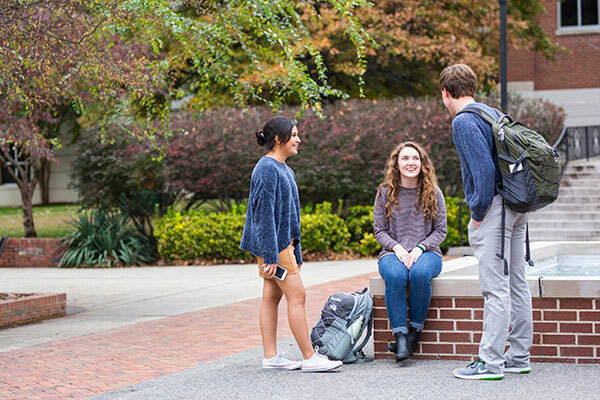 If you studied Spanish in high school and intend to continue your studies at Lipscomb, we require a language placement test prior to registering for classes. Our curriculum allows you to study the language, literature and culture of a variety of Spanish-speaking areas. Maymester in Oviedo program is unique at Lipscomb: it features homestays with Spanish families and the chance to study in a Spanish university. And because Spanish Teaching students take courses both in the Department of English and Modern Languages and the College of Education, they develop expertise in Spanish and in foreign-language teaching. A Maymester in Oviedo allows you to receive up to 9 credit hours for little more than it would cost on the Nashville campus. Students majoring in Spanish are encouraged to take courses in Latin American and European history. Students are also encouraged to take another modern language. Before registering for any Spanish class, students with previous study in high school Spanish must take the department's computerized placement test. This test, which takes approximately 20 to 30 minutes, will determine the proper level for which the student should register.